From encouraging your customers to review your products to including them in referral programs, there’s a variety of ways to leverage your current customers to get new business. Still, most businesses neglect their current customers by not encouraging or asking for reviews, even though that may be where a majority of their business comes from. In this post, we’ll help you discover how you can help make sure your happy customers spread the word and include examples to help you come up with referral marketing ideas for your business. Trust goes a long way when it comes to convincing someone to buy something. If we don't trust someone, we aren't going to listen to them. Consider the last time a salesperson you knew was on commission tried to sell you something. You likely had doubts about their authenticity due to a lack of trust. When you get a referral though, the sales pitch is usually coming from someone that you either know personally, like a friend or family member, or it's coming from a public figure you have trust in, like a favorite blogger. Now that we know the why, let's go over how you can get started and a few examples to help you get inspired! 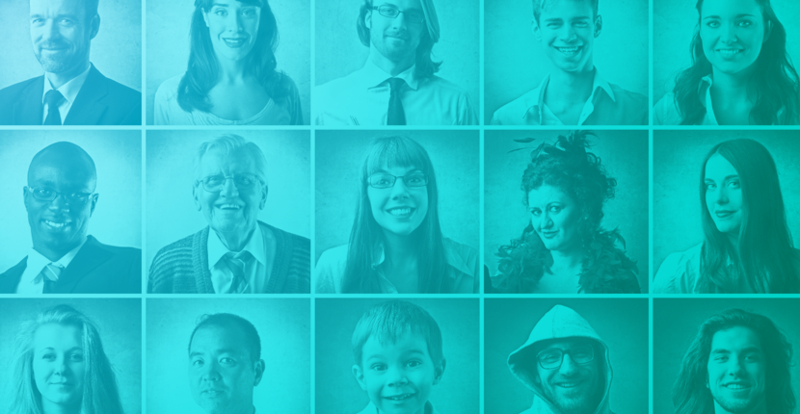 In this section, we’ll go over three key factors in creating a referral strategy. The first, and most important factor is that your product or service is ready for referrals. One big no-no is launching a referral program for a product or service that only solicits negative reviews or is a product that people aren’t willing to talk about. If you have really bad customer service, don’t think that a referral program will make that go away. Before starting a referral program, make sure all your T’s are crossed and your I’s are dotted. Secondly, make sure your products are easy to share. There are many ways to create a wow factor for your customers. Consider your packaging and unboxing experience. Just think, if Starbucks cups were non-branded and hard to distinguish boring cups, sharing them on social wouldn’t be as easy or fun. Focus on the experience of your brand. You don’t just have to sell products to create referrals. Sometimes, something as small as a handwritten thank you note inside of your packaging is enough to get your customers to share their experience with your company. When you get people sharing their experience, dig into what it was about your company, products, or services that made them go above and beyond to tell their network about you. Then, focus more on providing that same experience to your new customers. A common practice in referral programs is to only give out a reward to the sender of the referral. This makes it really easy for the referrer to share the news, but can make it less likely for any new customers to take up the offer. If you don’t reward both parties, you are changing the overall motivation a user has to make a referral to their network. Double-sided programs give rewards to both the sender and the recipient. The even reward structure helps motivate users who are not looking to profit off of their personal network and motivates the person being referred. 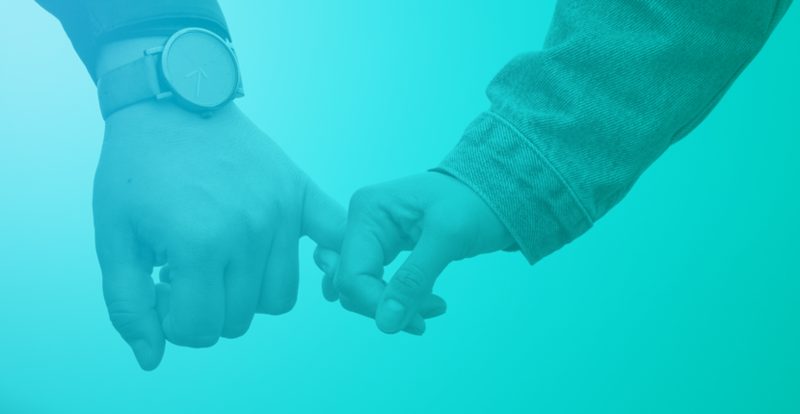 Choosing the reward for your referral program should not be approached haphazardly. You should understand what your users are motivated by and then offer prizes designed to reward that behavior. For example, they may be more interested in having access to premium features, getting company swag, or gift cards to their favorite coffee shops. Pro Tip: If you can offer multiple types of rewards, you can help satisfy different desires. Make it easy for your users to join the program. If it takes more than 3 different steps to get a referral code, you’re probably not going to retain many users. The easier you can make it on someone, the better. To do this, prepopulate messages for your users to share with their own networks so they don’t have to come up with something on their own. You should also add buttons to your website that make it easy for users to refer other people to your business. Don’t forget to put social sharing buttons to every product page, so that your customers can share the instant they find something they like! Lastly, make sure that your referral program communication, whether it's a webpage or email, is easy to understand and super easy to share. Again, this is where buttons and share links come into play! Finally, we want to give you a few examples of referral programs that we found to be pretty successful. These are all different in their own ways, but they all encourage referrers to share their stuff and get new people through the door! 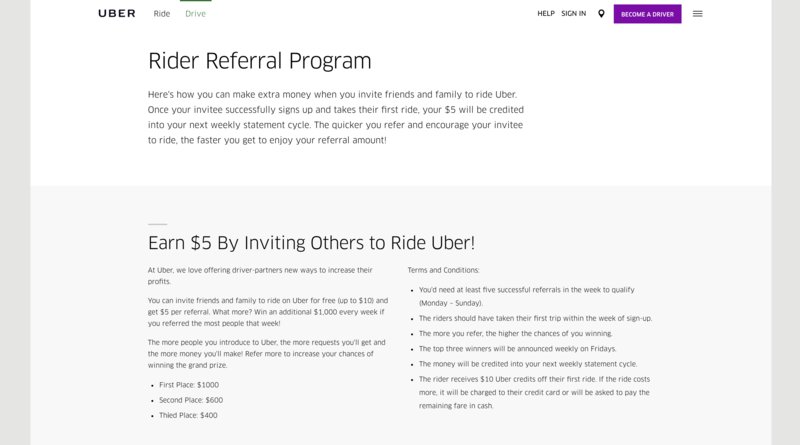 This ride-share app builds referrals into its product—assigning each customer a personalized referral code as soon as their account is activated. Every time a new account is created using a customer’s referral code, both parties get their next Uber trip free. Offering dual-sided rewards allows your advocates to approach their contacts with direct value. They’ll feel better knowing that their connections are getting something more than just an annoying email—making them more likely to refer in the first place. 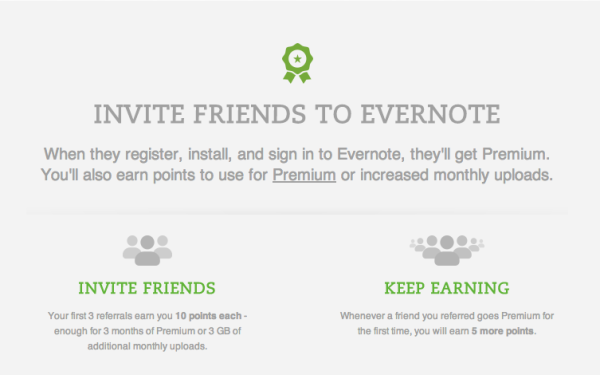 The note-taking software launched a referral program that awards points to customers every time they make a referral. These points can be redeemed for free access to the software’s premium features. Plus, every time a customer’s referred lead upgrades to Evernote Premium, the customer who submitted the referral receives additional points. The service now has over 100 million users, 13 million of which were referred by other users. The referral process doesn’t have to end after your customer submits their friend’s contact info. Giving them rewards when the person they referred upgrades their product can serve as a reminder to refer again. It will also motivate them to encourage their peers to upgrade. Their program encourages users to invite their friends by offering them cash credits to be used towards future Airbnb bookings. Airbnb automatically generates a coupon code for your credit, so you don’t have to worry about forgetting a pin number or wasting your points. 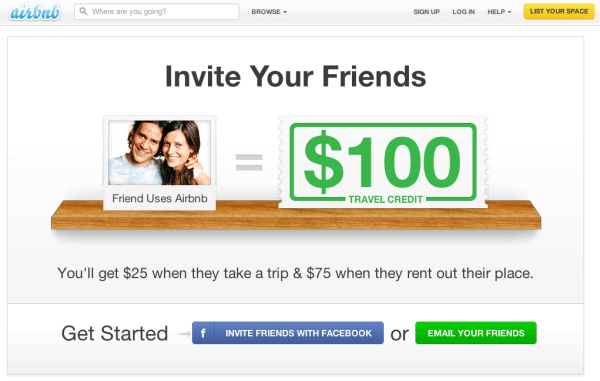 Airbnb is a little different in the fact that they only reward the referrer, but they do so to encourage their users to make more than one referral. If you get a friend to rent a space, you get rewarded and if they rent out their space, you get a larger reward. They also make it very easy for users to get started by using email links and social share buttons on their page. There’s no mistaking that referral marketing is one of the best ways to grow your business, but it can also be one of the hardest for business owners to understand. Making sure that you’ve got a solid product or service that people will be willing to share is your first step, but from there it’s really not too difficult to start. Include rewards, keep it simple, and reduce friction when it comes to sharing and you’ll be good to go! Heck, we even threw a few examples in there for you to use for inspiration. Does your business use referral marketing? We’d love to hear about it in the comments below!